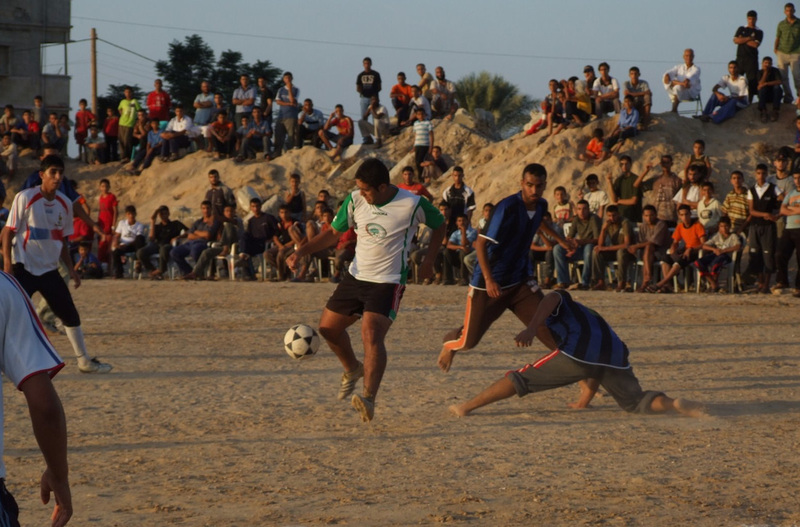 For the last five years Rachel’s friends in Rafah, Gaza, have hosted the “Rachel Corrie Ramadan Football Tournament,” a month-long tournament which honors Rachel’s commitment to the people of Palestine. It is a grassroots organized event that provides a fun, non-political place for neighbors to bond through athleticism and good sportsmanship. Unfortunately, due to the dramatic economic downturn, the organizations that have generously helped fund the tournament for the past five years are not able to do so in 2012. We are very grateful for the solidarity from friends supporting this project in the past. Now, we are in urgent need of help to preserve this tournament that has brought joy to the Rafah community and Gaza at large. Organizers of the Rachel Corrie Ramadan Football Tournament seek the help of a generous patron or patrons to step up and provide the amount of the tournament budget of $6,000 US. Time is short. Our deadline for obtaining funding for this special grassroots event is July 12. If you can help, we urge you to please take action immediately. Any donation is to be made to the Rachel Corrie Foundation for Peace and Justice, a 501c3 charitable organization. For inquiries, please contact the Rachel Corrie Foundation at: info@rachelcorriefoundation.org or call: 360.754.3998 (PDT). This is the fifth year for the Rachel Corrie Foundation Ramadan Football Tournament, and organizers in Rafah dedicate this year’s event to Mahmoud Sarsak, a member of the Palestine National Football Team who courageously protested his three-year illegal detention with a three-month hunger strike. Mr. Mahmoud is a native of Rafah and began his career playing with local teams of his neighborhood. We honor the courage and al samud – “steadfastness” – of his nonviolent resistance to injustice. Please help us keep this much-needed Ramadan community tradition alive for the people of Rafah, Gaza.